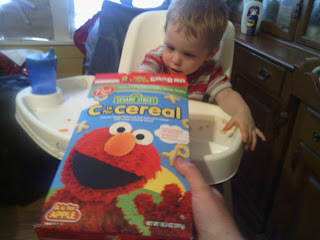 This is a sponsored post written on behalf of Post Sesame Street Cereal. I received free product in exchange for this post. All opinions are my own. 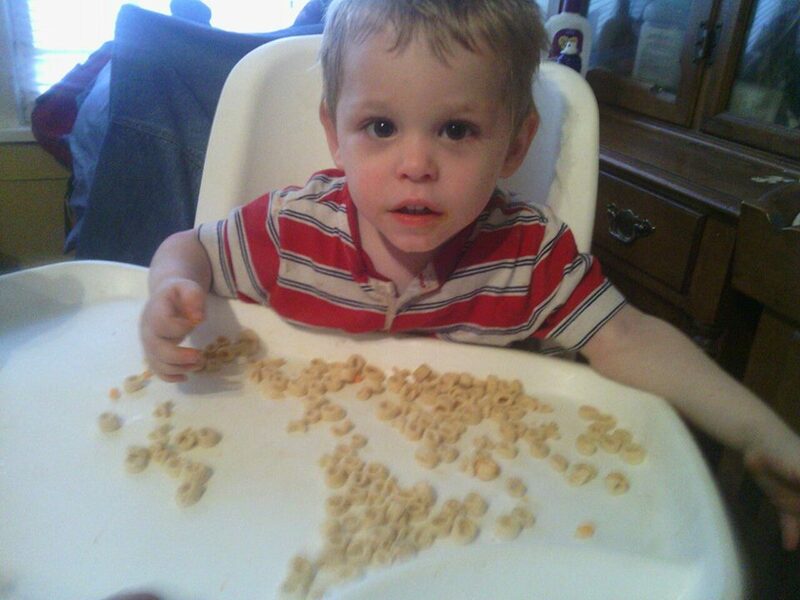 Post Cereal has launched a new cereal for the special munchkins in your life! Post Sesame Street Cereal comes in two flavors, A is for Apple and B is for Banana. 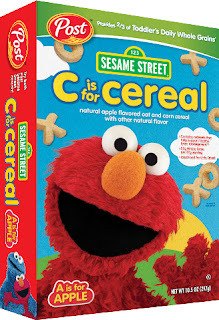 This new cereal is specially formulated to meet a growing toddler’s needs, providing them with 2/3 of their daily whole grains serving with only 1 gram of sugar. 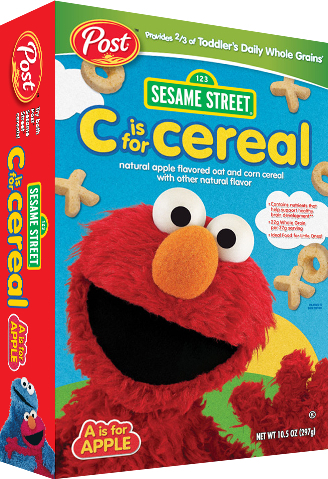 Children will be familiar with their furry friends, Elmo and Cookie Monster, who are featured on the front of the box, and parents will feel good letting them eat it. Additionally, the fun X and O shapes are specifically designed for little fingers and the yummy cereal has a soft texture that melts away for safe and easy consumption. Each box features 2 different educational activities per flavor for you and your little one to enjoy. You can have fun collecting them all! love in every X and O.
helps brain & body cells grow and develop. Choline helps the brain send messages. If my kiddos ate them that fast then they taste GREAT!! 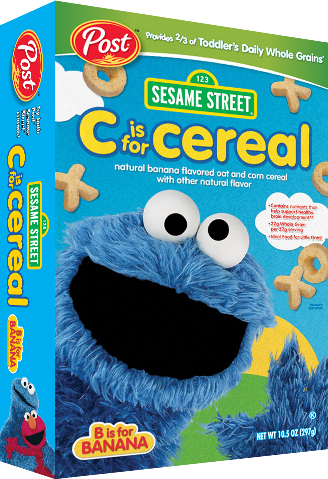 Or you can WIN a box of B is for banana AND A is for Apples flavors! 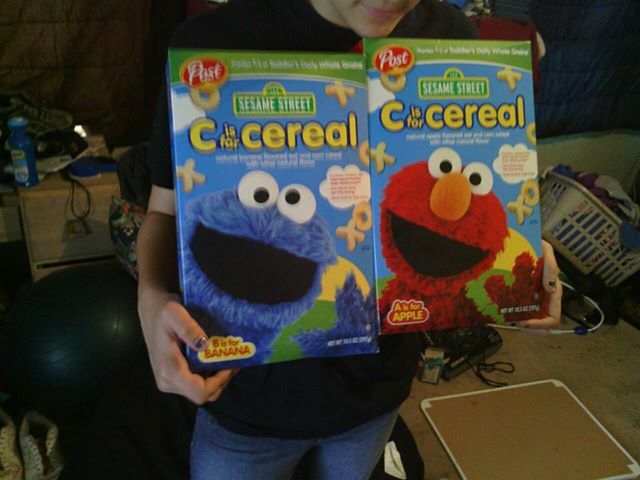 Lilly will love these, Elmo and Cookie monster are her favorite. My niece would love these, elmo is her fave. I think it would be fun to have this because I live on Sesame Street. The kids would get a kick out of me having my own cereal named after my street.